From Viz Media: Sailor Moon and the Sailor Guardians unite to save Earth from an alien force! 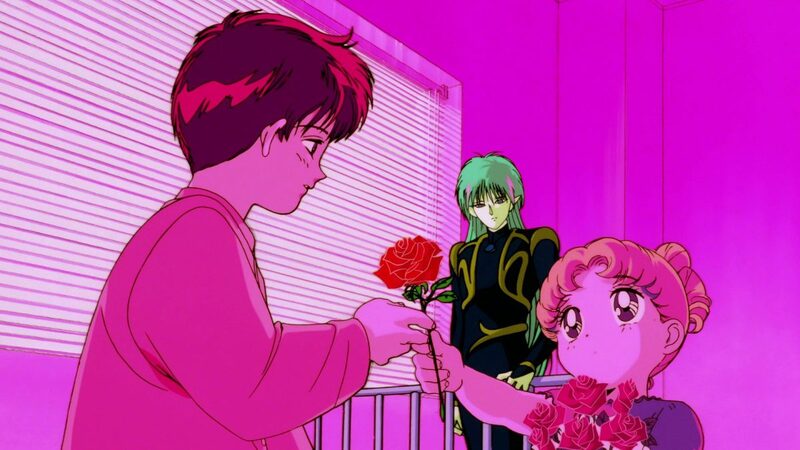 When he was still a child, Mamoru gave a single rose as thanks to an alien boy who helped him cope with the loss of his parents. Since then, his long-forgotten friend Fiore has searched across the galaxy for a flower worthy of his gesture. Fiore’s final choice is the beautiful Xenian flower, which has a very dark side—it has the power to fatally drain energy from human life! Now, Sailor Moon and the Sailor Guardians must go into space to stop the impending destruction and save Mamoru! From Sundae Crush: We love Sailor Moon and have always related to it in a lot of ways. One thing we love is how much of a crybaby Usagi is and how she also has to be a hero saving the world. She can never save the world alone and always has the support from her friends. Sailor Moon R we specifically remember watching with our friends in middle school, so we’re so excited to revisit it with our friends now!